Branson Auto & Farm Museum is one of the most visited attractions in Branson where you can find stunning display of classic cars, collectibles, tractors and other farm equipments. The museum was constructed in 2009 when Maurice Wilder purchased the famous and iconic “Engler Block” (a craft mall that had showcased local artists and craftsmen who displayed their talents with live demonstrations). Maurice converted the place later into the “Branson Auto Museum.” For about three years, the museum showcased some of the world’s rarest classic automobiles – of which many were for sale aside from being on display. In February 2012, the facility was hit by the “Leap Day Tornado” that swept through Branson and along the famous 76 “Strip” that resulted a devastating loss to the museum including countless cars and the building itself. That incident didn’t deter Mr. Wilder’s plan to rebuild the museum. He immediately rebuilt the facility from the ground up – reopening with an entirely new museum as well as a new collection of cars and collectibles. 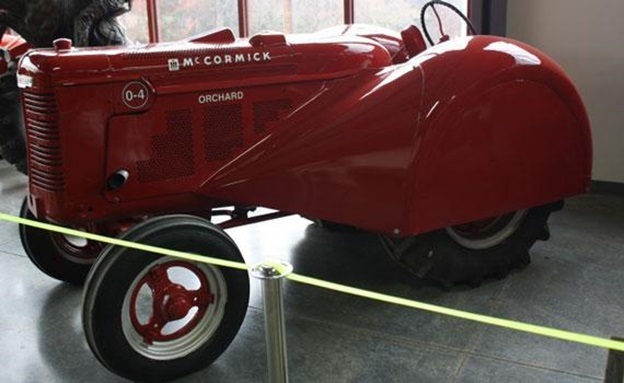 As the largest independent corn farmer in the country, Mr. Wilder fitted the auto museum by adding a farm section – which included farm vehicles, and other farm-related equipments. The new museum covers an area of 78,000 square feet and holds approximately 220 automobiles and farm equipments. The museum is spread in sections that wander through the building which seems to be a perfect setting of the facility. The classic cars and farm equipments that are displayed in the museum are regularly changed, so if you were not satisfied with the current displays, you are sure to find new display when you come back some other time. You will also find in the museum two-row wooden corn planter made in 1853 by Brown Company and a wooden steam engine made in the early 1900s. People who have gone through the exhibits in the museum were satisfied what they have experienced in seeing antiques, collectible cars, and old farm equipments. There are vintage cars in the museum that are for sale, but some like Evel Knievel’s Cadillac and motorcycle are only for display. The museum also has a gift shop which is filled with goodies for car enthusiasts, as well as the farm-hearted visitors. From scale model cars and truck, bronze statues, and many other unique collectibles for every occasion, you can find it all here. In addition to the gift shop, the museum also features a great display of sculptures at the Sculpture World gallery that contains bronze sculptures and home furnishings. The major display in the gallery is a jade sculpture of a ship. The jade sculpture was purchased by Mr. Wilder from a European museum. This sculpture has a length of 12 feet long, seven feet in height and weighs approximately 2,500 pound. It took five and a half years to finish this hand-carved jade ship by two Chinese gentlemen. Branson Auto & Farm Museum is one-of-a-kind attractions in Branson where you can find a wide selection of classic cars and old farm equipments.